Every year on December 10th, thousands of people around the world celebrate Terra Madre Day by gathering 'round good, clean and fair food. 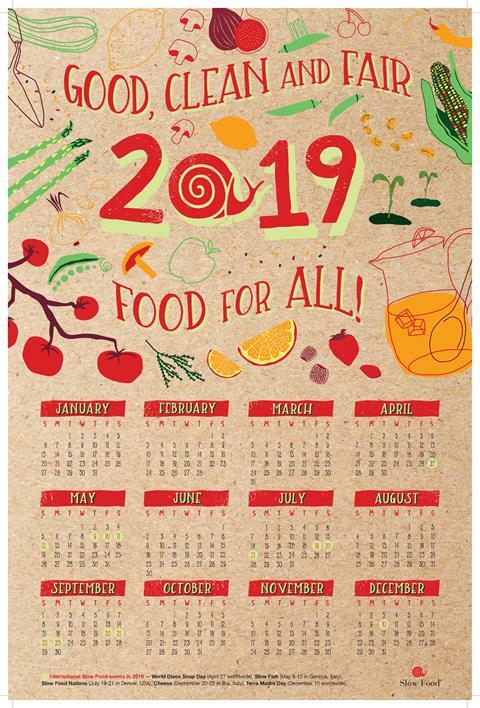 This year, we are focusing on Food for Change, showcasing how food is a delicious solution to climate change. Our everyday food choices have a huge impact on the planet. It's time to cook up a better future! A healthy planet doesn't have to mean boring food. We are partnering with Camellia Beans and Meatless Monday to highlight delicious plant-forward dishes. Click here to learn how to join us in celebrating Terra Madre Day by creating a meal or hosting a potluck. The next Give What You Can Day will be on Giving Tuesday, November 27. 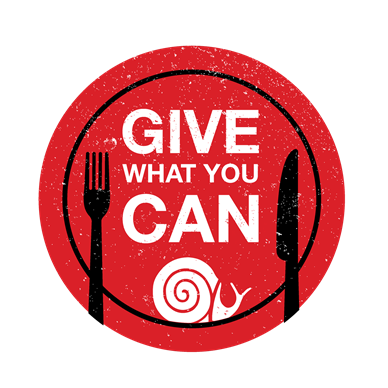 The Give What You Can link will be available on the homepage of slowfoodusa.org on Nov. 27. All online low-level donations made between Nov. 27 - December 10 will go directly to Slow Food International to support their work globally. Slow Food USA will soon offer an option to gift memberships. Be on the lookout for a follow-up email later this month when gift memberships officially launch, which will include a promo for the recipient of the membership to also receive a SFUSA hat. We have made updates to our membership and donation forms. Family memberships are now a two-step process and will include a follow-up email that will allow individuals to list their family members as part of the household. 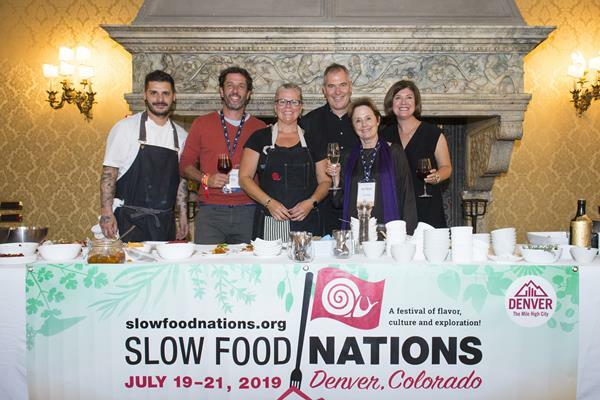 We are excited to announce the theme for the next edition of Slow Food Nations. SFN 2019 will explore Where Tradition Meets Innovation and will take place in Denver, CO., July 19 - 21. It is with great sadness that we must announce that Kurt Friese, former Slow Food USA board member, passed away on Friday morning at his home in Iowa City. He was 54 years old. Kurt was one of the first members of Slow Food in the United States, and founded Slow Food Iowa City around 2001, bringing an important voice to a state where agriculture is dominated by industrial corn, soybeans, and pigs. A Midwest Governer of Slow Food for many years, Kurt then served on the National Board of Directors for around 6 years. A pioneer of the farm-to-table movement in Iowa City, Kurt ran the acclaimed restaurant Devotay, with his wife Kim. 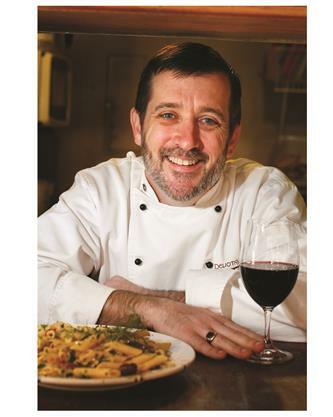 Kurt wrote A Cook’s Journey: Slow Food in the Heartland, and was co-author of Chasing Chiles – Hot Spots Along the Pepper Trail, with Gary Nabhan and Kraig Kraft. Likewise, his eloquently written op-eds or letters to the editor often graced local and national news papers and websites, lending wisdom on current topics. Kurt was a tireless promoter of Slow Food throughout the Midwest and the United States, and a passionate writer on food and agriculture issues. The Slow Food movement has lost a lion. We send our love and deepest condolences to his family. ​We are excited to welcome Cynthia Walters and Kim Aman as new Slow Food State Governors! 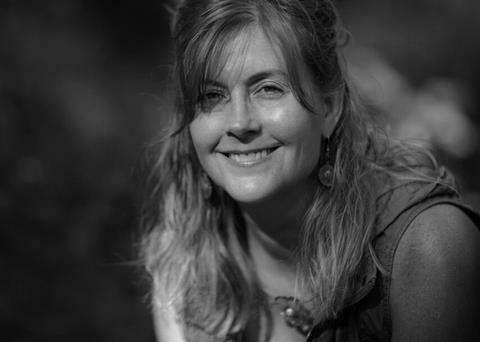 Cynthia Walters is a public school teacher, the SFUSA Governor of Ohio, a Slow Food Columbus board member, and directs the Low-Tunnels for Schools program in Central Ohio. Cynthia works with community partners to provide support and resources to over thirty youth gardens in more than eight school districts. Walters is the co-founder of School Gardens of Ohio (SGO), a network of educational leaders who offer professional development to create, expand, and sustain garden-based learning. Most recently, Cynthia is working with other SFUSA members to reboot the Slow Food National School Garden Program, Slow Gardens. 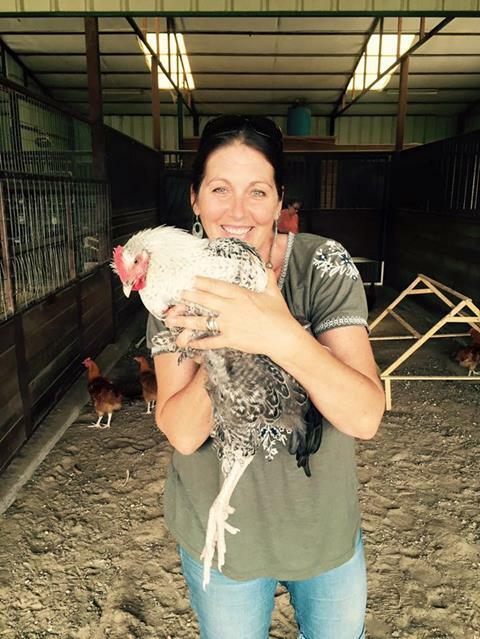 Kim Aman a former public school teacher, is the SFUSA Governor for Texas, Slow Gardens co-chair, a Slow Food DFW board member, and Program Director at Moss Haven Farm, where she holds the title of Farmer Kim and integrates curriculum on a k-6 campus. Additionally, she works with the Farmers Market Friends, Grow North Texas and the Dallas Food Policy Council, to support the local food system. Kim works as a consultant for schools in North Texas and across the country in creating sustainable school garden programs. Her farming roots run deep from her Grandfather who grew crops in the rich country soil of central Ohio. He taught her about the earth, soil, plants, animals and the beauty of a bite from a vine ripe tomato. Her garden programs have formed partnerships with the American Heart Association Teaching Garden Program, United Way of Metropolitan Dallas, The Cooper Institute, Healthy Zone Schools, Texas Master Gardener Association and Whole Kids Foundation. On any given day, you can find Kim in the garden working side by side with her student farmers, teaching them about the land and the food they eat. She knows that she is fortunate to be doing what she loves and looks forward to every day that she can spend digging in the dirt. Be on the lookout this December for the new Slow Food Eater's Digest and calendar (back by popular demand! ).